"Desire is the risk we take to discover what's real..."
Rising star Oscar Pearce recently starred in Nicolas Roeg's Puffball with Kelly Reilly, Miranda Richardson and Donald Sutherland. Other film roles include Adrian Noble's A Midsummer Night's Dream and Paul Anderson's Resident Evil. He has also appeared in many high-profile TV dramas including Band of Brothers, Poirot and Dangerfield. 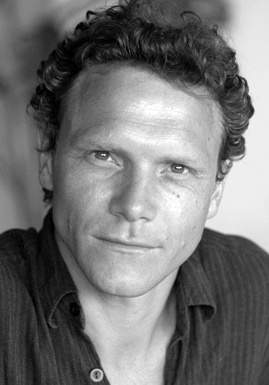 Oscar trained at the Guildhall School of Music and Drama, and his extensive theatre career spans work at the UK's top theatres from the RSC and Almeida to the London's West End and Birmingham Rep. Title roles include Romeo, King Oedipus and Cyrano de Bergerac. He has taken lead and supporting roles in several seasons with the Royal Shakespeare Company, as well as appearing in the acclaimed Donmar Warehouse production of 'The Real Thing', which after a sell out London run transferred to Broadway and received 5 Tony nominations. International theatre appearances include performances in number one venues in Dublin, Paris, Rome, Madrid and Tokyo.